Ford abandoning cars: With Ford essentially exiting the car business in North America, the Ford Fusion will be getting axed, along with the Fiesta and Taurus. The Mustang and Focus will still be produced. The automaker will only be offering the Focus Active hatchback as a debut model in 2019. The Ford Fusion had been selling well in the hybrid market and its plug-in hybrid version. The Fusion Hybrid has been beating the Toyota Prius in sales several times in the past couple of years, but it will be going away. Ford Motor Co. has been losing money producing and selling cars and will be focusing more on trucks and SUVs. Amazon and UberEats taking the lead: The urban mobility sector saw a few interesting announcements over the past week. 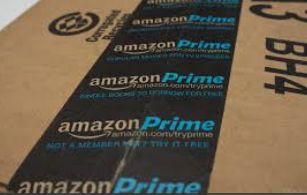 Amazon is offering a new perk to its 100 million Amazon Prime subscribers. Millions of owners of General Motors and Volvo vehicles in 37 cities will be able to have Amazon packages delivered to the trunk of their vehicles. The In-Car Delivery program comes months after the company launched a program allowing homeowners to provide a digital key to allow delivery drivers to drop a package inside their home………. A convincing argument is being made that rapid growth in online delivery services will be adding to urban traffic congestion and pollution. Manhattan is seeing UPS and FedEx paying millions of dollars in parking fees, with commuters upset about the growing traffic congestion coming from the fast-growing online shopping business………… Uber Eats is taking the lead in meal delivery services in the U.S., bringing in nearly as much revenue as GrubHub. Consumers are now spending more on UberEats than on any other food delivery service in nine of the 22 most-populous U.S. cities, according to a new study. 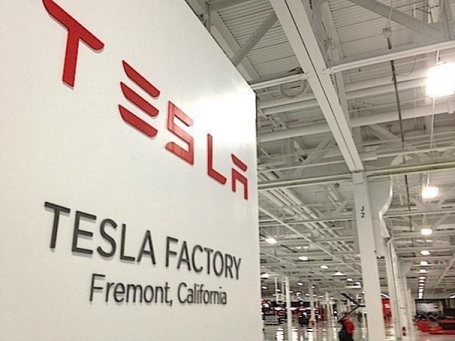 More Tesla workers are needed, with the automaker starting around-the-clock production schedules this week at the Fremont plant. It’s being done to ramp up from the recent report of over 2,000 Model 3s being built up to 6,000 units a week by the end of June. One more shift will be added to general assembly, body, and paint, CEO Elon Musk write in an internal company email. That news came out after the company took another day of stopping production of the Model 3 to improve automation and address production bottlenecks. About 400 workers will be added per week for several weeks to handle the increasing output, Musk wrote. Calstart supporting electric airplanes: Calstart and two cities have launched the Sustainable Aviation Project, which is described as “the nation’s first production all-electric aircraft project designed to develop pilot training opportunities using zero emission electric airplanes.” Calstart’s partners are the Northern California cities of Reedley and Mendota, with funding being provided by the Fresno County Measure C through the Fresno County Rural Transportation Authority. The electric aircraft will reduce both air and noise pollution, and will be able to fly for 60 minutes between charges with a 30-minute reserve. The typical flight training session lasts about 60 minutes. Charging can be done at four regional airports in Fresno County. 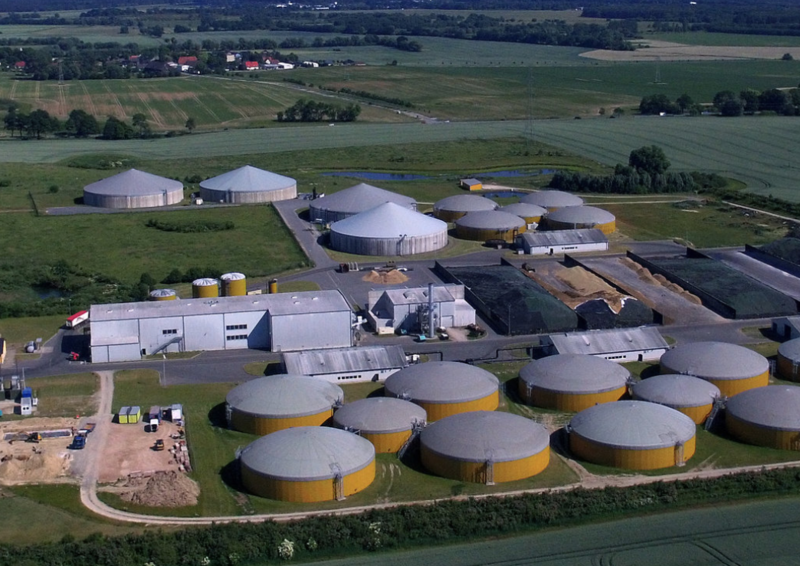 RNG Coalition map shows fast growth in production facilities: The Coalition for Renewable Natural Gas (RNG Coalition) yesterday released a new map and project database of renewable natural gas (RNG) production facilities in North America. The refreshed database shows that the RNG Coalition is on track to double the number of RNG production facilities in North America in half the time that was set in the original goal of what was to be accomplished by 2025. There were 51 RNG facilities in place at the time the coalition was formed in 2015. The new database shows an additional 23 RNG production facilities are currently under construction and another 23 have reached stages of substantial development prior to commencing construction. It also shows there are now at least 76 operations RNG facilities in North America, which makes for 85% growth from the 41 projects that were built between 1982 and 2014. RNG Coalition membership shows a unique alliance among biofuel producers, natural gas suppliers, natural gas vehicle fueling companies, major oil companies, utilities, and Clean Cities coalitions. The relatively new organization sees RNG as a sustainable strategy with environmental, economic, and energy gains being met while supporting adoption of the clean fuel. The updated RNG facility database was derived through months of research on RNG facilities by the California-based RNG Coalition and by Energy Vision, a clean energy and renewable fuels nonprofit organization out of New York. Nissan and DeNA testing robotaxis: Nissan Motor Co. is preparing to launch electric robotaxis in the early 2020s — but as for now, more real-world testing needs to be done. Last month in Yokohama, Japan, about 300 people participated in test rides in the Easy Ride robotaxis, which are built on modified Nissan Leafs. 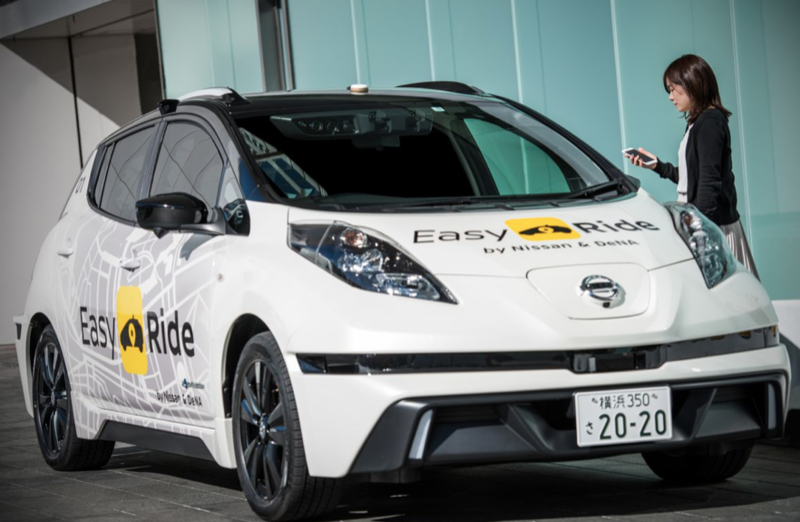 Easy Ride taps into Seamless Autonomous Mobility, which was developed by Nissan from NASA technology, for the automaker’s fleet operation system. Unexpected occurrences are being tested, such as road construction or an event filled with cars and pedestrians blocking traffic. The robotaxi will have support from in-vehicle artificial intelligence and staff working at a control center monitoring the rides. Nissan is counting on its collaboration with DeNA, a Japanese mobile gaming and communications giant. Easy Ride comes with a DeNA-designed smartphone app, where users can hail a taxi by choosing a time slot and where they want to be picked up from a list of preset destinations. Riders view a tablet computer installed inside the car about recommended events in the area; and users are also sent discount coupons for restaurants participating in an Easy Ride affiliate program. Model Y starting next year as debt grows: Tesla Inc. won’t be slowing down anytime soon, with debt mounting to increase Model 3 volume and start up production of its Model Y sport utility electric vehicle. Two sources told Reuters last week that the Model Y compact crossover companion to the Model 3 sedan will start up in November 2019. The sources said that CEO Elon Musk is accepting preliminary bids for supplier contracts on the Model Y. The sources said that suppliers are estimating annual production of 500,000 Model Y vehicles in the U.S. at the Fremont, Calif., plant, with a second factory in China producing a much smaller volume, likely in the tens of thousands. The company had estimated reaching 500,000 vehicles produced this year as the Model 3 is ramped up; Tesla is not reaching that level yet and is unlikely to hit the target. Musk is likely to seek more capital to add the Model Y to its product lineup. Tesla is now burning cash at a rate of more than $2 billion a year. During an interview with CBS’s Gayle King, Musk conceded that the electric carmaker’s robots involved in its Fremont factory process probably slowed down production. Another challenge has been a “crazy, complex network of conveyor belts, and it was not working so [Tesla] got rid of the whole thing,” he said. Volvo rolling out electric truck: Volvo’s new FL Electric is being rolled out as a delivery truck targeted to cities banning fossil-fuel powered vehicles. The all-electric 16-ton truck will have between two and six lithium-ion batteries with 100-300 kWh, capable of taking the truck up to 186 miles through six batteries. The truck maker says charging time will be one to two hours with DC fast charging, or up to 10 hours on AC with the 300-kWh battery capacity. Volvo Trucks is bringing its experience over to the FL Electric from producing more than 4,000 electrified buses since 2010. 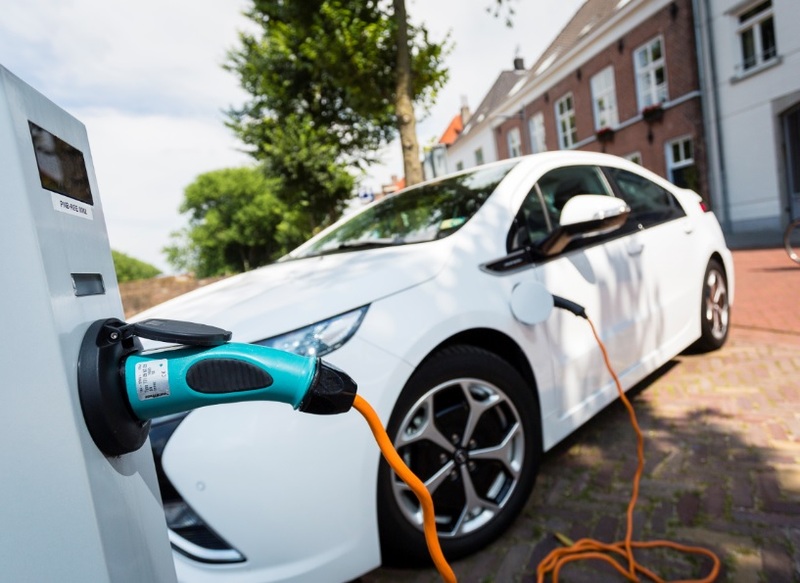 “With attractive incentives, agreed standards and a long-term strategy for urban planning and expansion of the charging infrastructure, the process can go much faster,” said Jonas Odermalm, head of product strategy, Volvo FL and Volvo FE at Volvo Trucks. Protean and LM working on self-driving electrified shuttles: Protean Electric is bringing its in-wheel electric drive system over to autonomous vehicles through a new strategic partnership with U.S. vehicle manufacturer LM Industries. 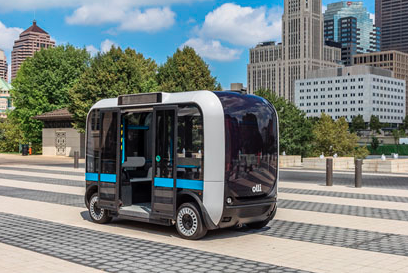 LM is known for building Olli, a self-driving electric shuttle bus. The partnership will start with providing the eDrive system for Olli. Beyond that, the companies will work on new technologies to accelerate future autonomous and transportation-as-a-service (TaaS) vehicle production. Consolidated Metco to develop an electric in-wheel drive system to provide hybrid-electric solutions for the medium and heavy-duty commercial vehicle markets. In 2016, a funding round with Chinese investors was carried out, including GO Scale Capital, Zhejiang VIE Science & Technology Co. Ltd., and Tianjin THSG Corporation. The funding has been used to ramp up production in China of Protean’s PD18 product line, and for new product development and formation of a manufacturing joint venture with Zhejiang VIE. Tesla seeing impact of a difficult year: Tesla Inc. has been seeing some of its support wane from investors and shareholders as the company hits a rough period of increasing challenges. On April 2, the stock took a dive and hit a one-year low at $244.59. It’s gone back up to around $303 today, but that’s much lower than the 52-week high of $389.61. There’s also been a few critical analysis reports coming out, which have been pervasive in the Seeking Alpha commentaries lately. The challenges are coming from Tesla missing the mark on Model 3 production, a fatal crash in a Model X involving the Autopilot system, the trade war with China that’s likely to hurt Tesla, and tensions with workers played out in a labor complaint filed by the National Labor Relations Board. Investors want to see the electric carmaker reach a steady production level on the Model 3 and avoid raising additional capital and debt this year. ”Tolerance for the brand’s history of missed numbers is likely at an end,” said Karl Brauer, executive publisher at Kelley Blue Book and Autotrader. Hyundai and Kia wireless charging project: Hyundai-Kia America Technical Center, Inc. (HATCI) and Mojo Mobility, Inc., have completed a three-year project to develop a fast-charging wireless power transfer system on a test fleet of five Kia Soul EVs. The project was in collaboration with the U.S. Department of Energy’s Office of Energy Efficiency and Renewable Energy. HATCI and Mojo, a wireless technology company, worked together to develop a compact wireless charging system that is capable of transferring more than 10 kW to the vehicle for fast charging while targeting an 85% grid-to-vehicle efficiency. The project also studied durability, safety, and performance. Wireless charging takes place through an electromagnetic field to transfer energy between two coils — a transmitter on the ground and a receiver on the bottom of the vehicle. The driver simply parks the car above the transmitter to begin charging and then energy is sent through an inductive coupling to an electrical device, which uses that energy to charge the electric vehicles’ battery. NADA and INRIX studies on car ownership and driving: U.S. consumers aren’t ready to sell off their personal vehicles and get all their mobility needs met through autonomous vehicles, or through ride-hailing or car-sharing services, according to a National Automobile Dealers Association (NADA) study. The study tapped into consumer focus groups and a national survey on the future of personal transportation. Only 11% of respondents were interested in giving up their personal vehicles to switch over entirely to other modes of transportation — and that crossed over all the demographics of age, geographic region, education, and income levels. Only 6.5% of them found car ownership to be a hassle. The survey found that ride-hailing services provide some great benefits — especially in urban areas and in places where parking is an inconvenience. Connected car data firm INRIX just released a study showing that there are some differences in attitudes of consumers doing a lot of city driving and those living outside in more residential areas. The findings of its first Cost of Driving study were released yesterday, which calculated vehicle ownership costs for 30 major cities in the U.S., U.K., and Germany. 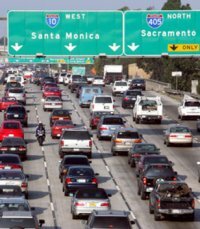 The study found that traffic- and parking-related costs made up nearly half of the total cost of car ownership in the U.S. Last year, the average U.S. driver faced the highest total driving cost of $10,288, which was 55% more than the average U.K. driver and 14% more than the average German driver. 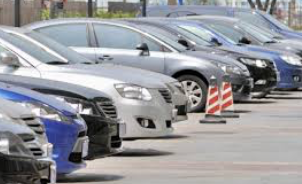 The costs faced by U.S. drivers includes direct (maintenance, fuel, insurance, and parking and toll fees) and indirect/hidden (wasted time and carbon, parking fines and overpayments). Traffic- and parking-related costs made up nearly half (45%) of the total cost of ownership in the U.S. — making mobility services like Uber and Lyft more appealing. The INRIX study indicates that for consumers living in cities, it’s likely there will be less vehicle ownership and more use of alternative mobility options. The long-term changeover from personal vehicles to more use of alternative transportation modes — ride-hailing and car-sharing services, carpooling and vanpooling, public transportation in buses and trains, electric scooters, bicycling, and walking — will likely take several more decades to see any real impact on auto sales and the number of vehicles on roads and city streets. The NADA study made reference to Uber, Lyft, Zipcar and Didi Chuzing (China’s largest ride-hailing service) in February signing a statement of principles supporting a mandate that all autonomous vehicle in urban areas be part of shared fleets — not personally owned. That appears to be the most likely scenario to how automated mobility will grow in the U.S. and other countries — through partnerships between mobility services, technology giants, and automakers that have government backing. It will all take several more years of testing to overcome concerns about driver, passenger, and pedestrian safety. 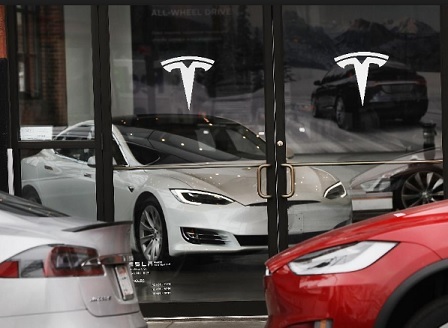 Challenges increasing for Tesla: Tesla Inc. continues experiencing a very tough period as China included electric vehicles on its list of additional tariffs — as the trade war escalates with the Trump administration. Other automakers could be hit by SUV tariffs if enacted, but having joint venture alliances with Chinese companies will soften the blow. 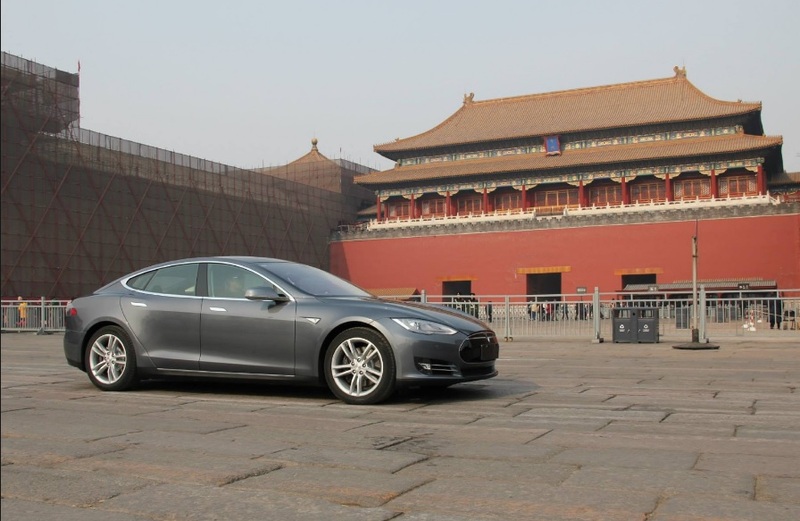 China is Tesla’s largest foreign market, and Tesla competitors will have a real advantage in China. CEO Elon Musk continues facing a wave of serious challenges. During the Q1 earnings call this week, the company announced that production and sales of the Model 3 have been increasing, with 2,020 Model 3s built during the last week of March up to about 5,000 units a month expected in about three months. But the company’s $10 billion debt load is a much more pressing issue, with cash dwindling and its bonds continuing to slide after the company’s credit rating was cut. Tesla has about $1.2 billion in debt maturing over the next year, and analysts expect the company will burn through $2 billion of its cash this year. There’s also the second fatal crash related to Tesla’s Autopilot system from the March 23 fatality of Tesla Model X driver Walter Huang on U.S. 101 in California when his electric SUV slammed into a highway barrier. The National Transportation Safety Board on Sunday said it was “unhappy” that Tesla had released information about the crash, expects to issue a preliminary report on its findings in a few weeks. ACT Expo speakers announced: Advanced Clean Transportation (ACT) Expo just released its speaker list for the event taking place April 30 through May 4 at the Long Beach Convention Center. The keynote presentation will be made by Jay Craig, CEO and president of Meritor, a leading component manufacturer, on how the company had to change its strategy to integrate electric vehicle components into its portfolio. Other featured speakers include: Thomas Madrecki, Director of Urban Innovation and Mobility, UPS; Michael O’Connell, Vice President Supply Chain, Fleet Sustainability, Frito Lay; Mary Nichols, Chair, California Air Resource Control Board; Heather Tomley, Director of Environmental Planning, Port of Long Beach; Madhav Acharya, Technology to Market Advisor, ARPA-E Department of Energy; Elizabeth Fretheim, Director of Sustainability, Walmart; Timothy Papandreou, Strategic Partnerships Manager, Waymo; and Janea Scott, Commissioner, California Energy Commission. You can view the full agenda here. How EVs can go mass market: A new study by McKinsey & Co. in partnership with A2Mac1, a provider of automotive benchmarking services sees 2017 as a benchmark year with 1.3 million EVs being sold worldwide, a 57% increase over 2016 sales. While that stays at about the 1% level for global new vehicle sales, the study explores steps that will need to be taken to make it up to 25% of new vehicle sales by 2030. To become mass producible, four factors will need to be addressed, according to McKinsey. One of them focuses on building “native” EVs (new battery electric models on their own platforms) is quite costly in the form of engineering hours, new tooling, and other factors, the cost savings will become substantial compared to non-native EVs. The weight of the cables is coming down in EV powertrains, and there are less parts being used than earlier versions of their EV models. Another advantage is having fewer compromises to make in EV architecture and bodies, allowing for an average of 25% larger battery pack volume. These and other changes in new EV models are bringing longer range, more power, and faster charging. The purchase price is coming down for new EVs and a few older models like the Nissan Leaf. Green Auto Market would add another factor to future EV sales: prepare for incentives drying up. The US appears to be going here faster than other countries, according to the U.S. Environmental Protection Agency’s statement released this week, which was as many had expected it would be. Fuel economy and emissions standards appear to be softening up. Federal funding for alternative fuel vehicles and tax incentives for electric vehicles will also see little support. The U.S. may be going here sooner than other countries, but it is a factor in all of them as EV incentives eventually fade away. Costs will eventually be coming down through cheaper battery packs, and manufacturing uniformity and flexibility as the McKinsey study recommends. Manufacturers and dealers may have to fill some of that void with other incentives — rebates, zero percent financing, trade-ins, fleet discounts, etc.